CLIMATE, SCENERY, LIFESTYLE and RECREATION than the North Fork Valley of Western Colorado. Come Visit – Come Stay! Paonia is nestled in a delightful valley in Western Colorado. The natural beauty of its countryside, clean air, abundant clean water and surrounding majestic mountains offer an endless combination of outdoor lifestyles. Paonia sits at an elevation of 5,645 feet with approximately 1,500 residents. Another 6,000 inhabit the eight surrounding mesas. Our town is home to Solar Energy International, the publicly owned movie/live performance venue the Paradise Theatre, The Blue Sage Center for the Arts, Paonia Bicycle Co-op, and a number of artisan beer, wine and spirit producers, gift shops and restaurants. Downtown Paonia is a thriving American mainstreet! 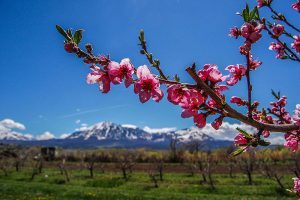 Paonia’s economic base consists of ranching, coal mining, organic farms, orchards and vineyards. Local ranchers raise cattle, horses, sheep and hay. In recent years, some have found their niche with llamas, alpaca, emu, buffalo and domestic elk. 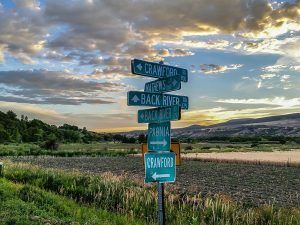 Many artists, craftspeople and musicians make their home in Paonia, creating one of the more culturally diverse and open communities in the county. The beauty of our area brings people from all over the world. – the quality of life is why they stay. What a wonderful place to raise a family or plan your retirement! Recreation is diverse and seemingly endless. Fish the Gold Medal waters of the Black Canyon of the Gunnison, or one of the 300 lakes on the Grand Mesa, or any of the numerous high country streams or beaver ponds. 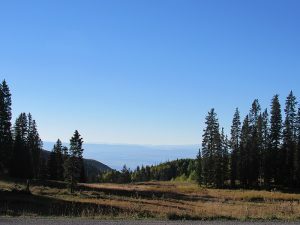 The nearby West Elk Wilderness is a magnificent area for hiking, camping and hunting. Take your boat to Paonia Reservoir or Crawford Reservoir for summertime boating and camping fun. Springtime on the North Fork river offers great whitewater boating as well. Take a backpacking trip or go horseback riding along the back country trails. Paonia’s Jumbo Mountain Trail system offers world class mountain biking and trail running only minutes from down town. Last but not least Paonia’s town park, one of the most beautiful in Colorado, hosts live music, festivals. It’s also a serene, cool, and peaceful spot to take a nap or play with the kids. Paonia is a focal point of back roads and trails leading into forest and wilderness. Hunters from all over the nation disperse into the surrounding mountains in quest of elk, deer and bear. Whether you drive or bike the West Elk Scenic Byway Loop, you will encounter truly spectacular sights to photograph and remember for a long time to come. Winter finds skiers alternating between cross-country skiing close to town and skiing the nearby ski resorts of Powderhorn, Sunlight, Crested Butte, Aspen and Telluride. Snowmobilers have wide choices for exploratory trips on the largest flat-top mountain area in the world – the Grand Mesa National Forest.